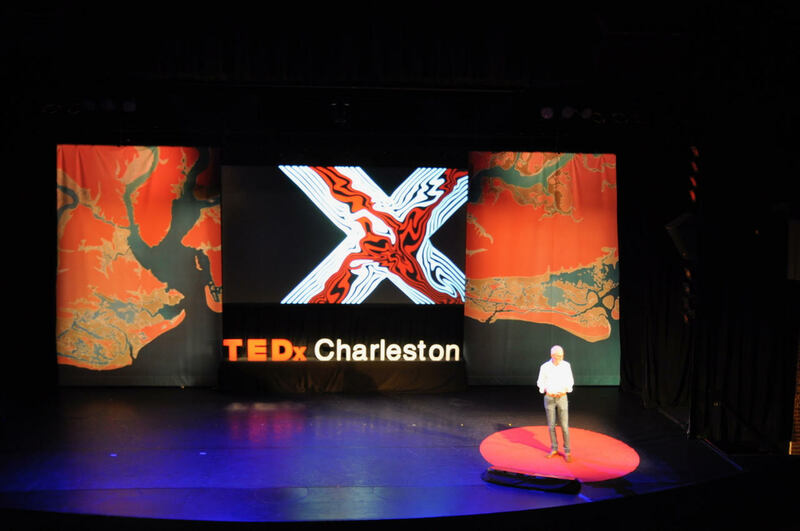 “Charleston Coastline” was commissioned for the Charleston Visitor Center over twenty years ago, a 5’9″ x 18’9″ five-panel shantung silk. 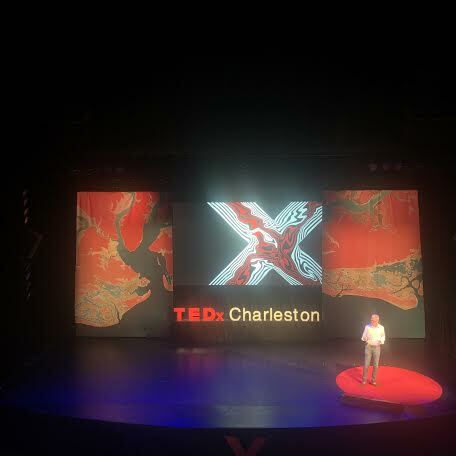 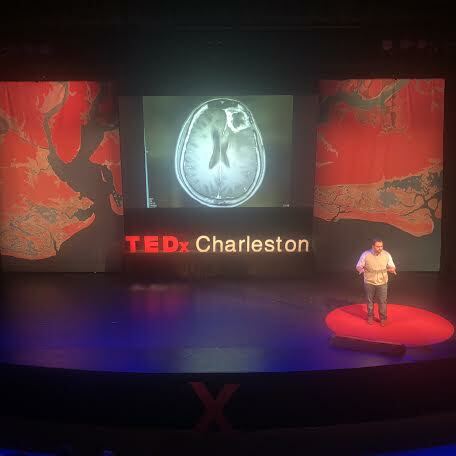 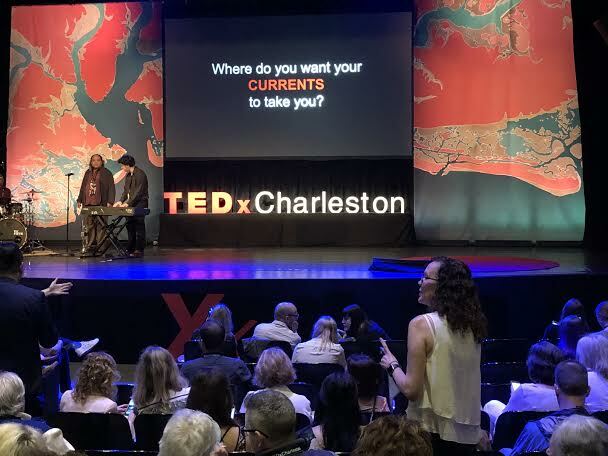 The 3rd and 4th panels were featured cropped and enlarged to 16′ x 12′ for the TEDxCharleston stage at the Charleston Music Hall on April 10th. 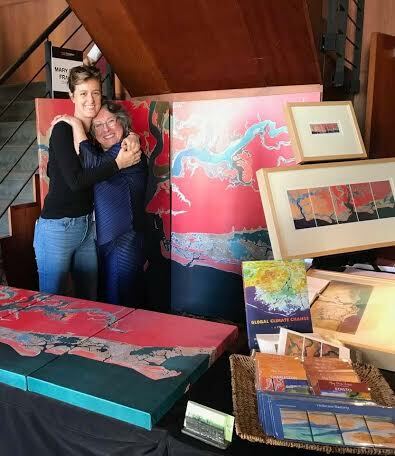 Available for sale in the studio and coming soon to the website shop: giclée prints on paper (edition of 100) and metallic canvas, in a variety of sizes, as well as magnets and scarves featuring “Charleston Coastline,” both in full as well as select panels. 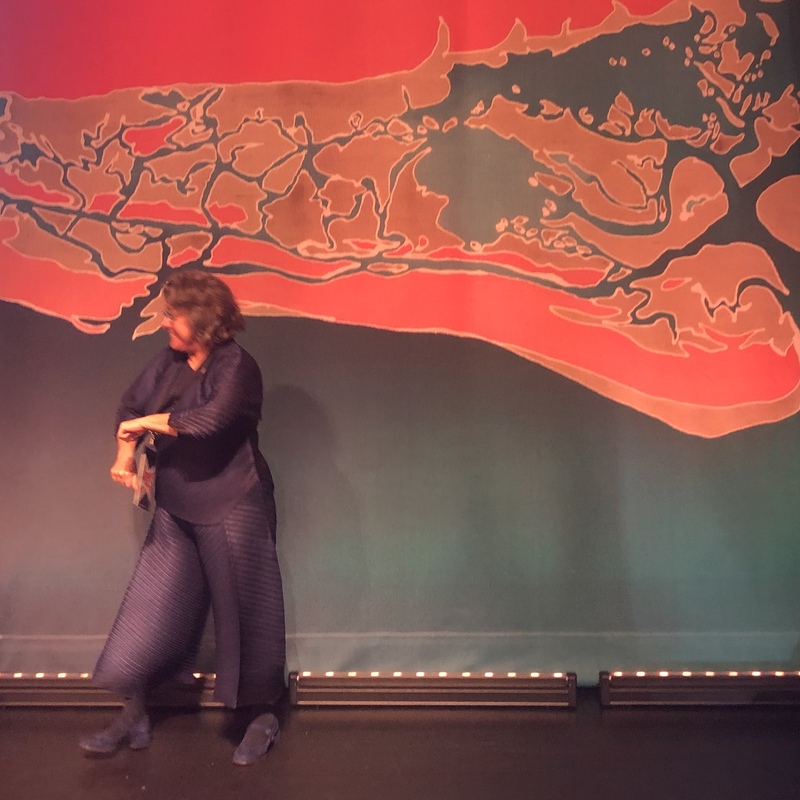 Thank you for supporting Mary Edna’s life as an artist!